Doris J. Andrew, 89, Olathe, Kansas passed away February 07, 2019 at home. Family will greet friends, February 13th from 2 to 4 pm at Kansas City Funeral Directors, 4880 Shawnee Drive, Kansas City, Kansas. Burial February 14, 2019, 11 am at Higginsville City Cemetery, Higginsville, Missouri. Preceding in death Parents, Husband, Bill; Sons; Jack and Dan. Survivors are Terry (Marilyn) Andrew, Joe (Dana) Andrew, Cheryl (Mike) Allen, Jim (Lisa) Andrew; 14 grandchildren and 11 great grandchildren. 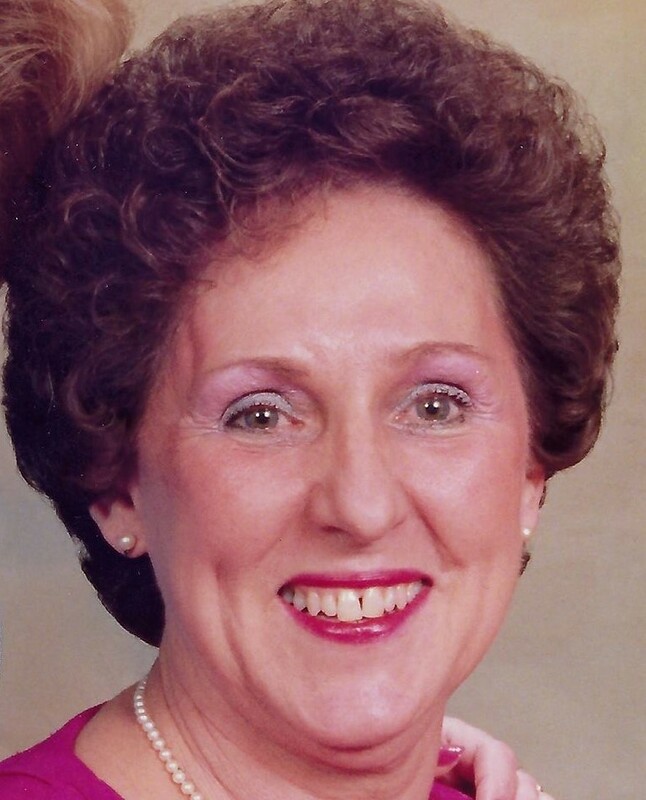 Faye Audrey (Taylor) Hopkins, 74, of Overland Park, KS, passed away in her home on January 6, 2019. A funeral mass will be held on February 9th at St. Mary’s Episcopal Church, 1307 Holmes, Kansas City, MO, beginning at 3pm, and will be followed by a celebration of her life in the St. Mary’s parish hall. Faye was born in Hamilton, Ontario, Canada to Glenn and Doris (Markle) Taylor. Although she married an American and moved to the US in 1963, she proudly maintained her Canadian citizenship throughout her life. It was difficult living thousands of miles away from home and family, especially after her divorce, with 2 young kids to raise, but her faith in God, her sense of humor and her caring nature soon filled her life with another even larger family, related by love instead of blood. Faye worked for many years at Panhandle Eastern Pipe Line Co, her first employer in the US until the time of her retirement from there. She then started work at Bayer Animal Health, before retiring again after 10 years. Along the way, she made lasting friends with whom she stayed in contact, and she enjoyed attending annual retiree luncheons of both companies to reconnect with those friends. Faye received such joy from seeing colorful blooms and greenery nearly year-round in the numerous garden beds which filled her yard. She had such a talent for gardening, we were certain she had garden fairies and enchanted worms! She felt honored that her gardens would prompt folks she had never met to stop and comment on her “arboretum.” She would happily give them a tour around her yard, and when they left, it was always with a bouquet of cut flowers or a bag filled with plants in soil for them to plant in their own yards. She’d include one of her cards for “Faye’s Friendship Garden” with her address on it, and an invitation to come back to visit any time. That was typical of Faye ~ there were no strangers, just friends she hadn’t met yet. Although not physically able to spend as much time as she wished in her gardens in recent years, she kept busy and more than once joked that maybe if she went back to work, she’d have more free time! She was a proud and active member of the Lady Nancy Astor Chapter of the Daughters of the British Empire (DBE). She was also a knighted Dame in the Sovereign Military Order of the Temple of Jerusalem (SMOTJ), she had been a volunteer at the Folly Theater for many years, and had great fun playing bunko with a group of ladies for a time. In recent years, most of her volunteer time was spent in her church, including being one of “St. Mary’s Belles,” serving on the Vestry, and helping to provide treats in the parish hall after Sunday services, a practice that soon came to be known as the “Immaculate Receptions”! Faye let go the sorrows of her Heart to allow in Faith, Love, Joy, Kindness, and Compassion, and she shared those with everyone she met. Faye’s loving nature, her willingness to help others, her quick smile and ever present laughter will all be dearly missed, until we meet her again. In the meantime, we’re sure the angels will be having a grand time! Faye was preceded in death by her parents; her sister, Glenna; her cousin, Ross, and her sister in spirit and faith, Marva. Faye is survived by her children, Don Hopkins (St. Louis) and Kelly Barnum (Lawrence), her brother Wayne Taylor (Mary; Ontario, CAN); nieces and nephews in Canada and England, Pamela, Phillip, Stephanie, and Daniel; her cousin, Ellie Markle (Leavenworth), her children, Tyler (Lisa), Ryan (Carol) and Jason (Lisa), and their children, Justin, Jessica, Lauryn, Matt, Kim, Zack, Jacob and Connor; and extended family and friends in both Canada and the US. In lieu of flowers, the family suggests memorial contributions to Battle Boutique, 11716 W 95th St, Overland Park, KS 66214,https://www.battle.boutique/; the MS Society of Canada,https://mssociety.ca/contact-us, or Base Academy of Music, 7910 Troost Ave., KC, MO 64131; https://www.bamkc.org/. 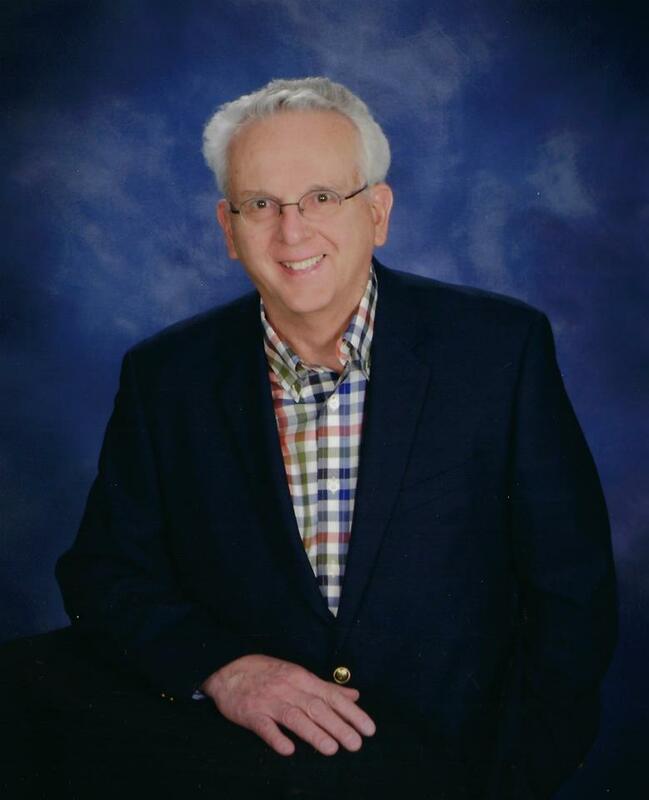 Terry John Breck, 75, of Overland Park, Kansas passed away on January 22, 2019, surrounded by his family and friends. Terry was born at Providence Hospital in Kansas City, Kansas to Nicholas and Theresa (Humpa) Breck. He attended St. Joseph High School in Shawnee where he excelled in scholastic as well as a variety of non-sports activities. Terry attended Rockhurst College for one year before moving on at the age of 19 to a career in the United States Navy. He stayed with the Navy for 24 years before retiring as a Master Chief Petty Officer. His specialty was naval electronics, his favorite submarine electronics. As a sharpshooter on the Naval Pistol Team, Terry garnered numerous trophies over many years. He traveled the world and his daughter, Teresa was born in Naples, Italy, in 1967 while his family was stationed there. After his career in the Navy, Terry went to work for Lockheed Martin in customer support until he retired. There he managed a team responsible for calibrating all instrumentation on atomic submarines when in dock after returning from duty. His hobbies growing up and through life were many. He attained Eagle Scout rank; loved any outdoor activity from camping, boating and fishing to rock climbing. He fancied collecting knives and carving the handles into beautiful unique designs. He was an excellent wood worker. Of all his hobbies, reading was his passion and stayed with him all his life. He would read anything of great depth. As a high school student he loved the Great Books of the Western World. As he grew, his passion of books led him into the love of church theology. He used to refer to his favorite author, St. Thomas Aquinas. He collected Bibles of all translations with the most beautiful bindings. Admirers of those beautiful Bibles would often become their owners. He loved his books and even more loved gifting them to his friends. He was preceded in death by his first wife, Joyce and his father, Nicholas Breck. He is survived by his mother, Theresa; wife of 10 years, Dolores (DeMeese); brothers, Rodney of KCK and Greg (Linda) of Overland Park, KS; daughters, Teresa Maggart (Clark) and Virginia Breck; son Joseph Breck (Donna); four grandchildren, Jonathan Breck (Maria), Jared Breck, Caleb Maggart and Noah Maggart, as well as two great grandsons Jordon and Mason Terry Breck. 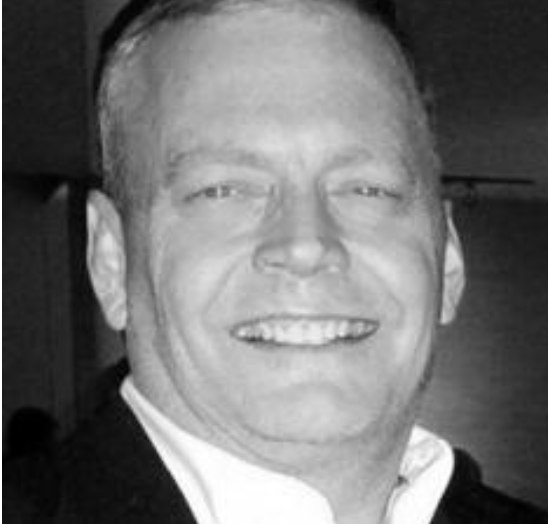 Timothy Gene Elliott, 59 of Overland Park, Kansas, died after a long-fought battle with brain cancer January 19, 2019, at Kansas City Hospice House. He was born December 5, 1959, in McPherson, Kansas, the son of Gene and Rhonda Elliott. Tim grew up in Hutchinson, graduating from Hutchinson High School in 1978 as a State Champion wrestler his senior year. During that time he set up his first business venture with a friend, The Cracker Shack, which was a popular spot for buying fireworks. He moved on to the University of Kansas and became a brother in the Sigma Chi Fraternity. Earning his undergraduate degree in business in 1982, he followed that up with Juris Doctor (JD) in law in 1985. He worked hard to become a highly respected attorney and served his clients as long as he was able. A lifelong KU fan, he enjoyed attending basketball and football games to cheer on the Jayhawks. He was also a passionate supporter of both the Royals and Chiefs. Tim married the love of his life, Stephanie Witt, in 1986. After living and working in Topeka for a bit, they settled in Overland Park. In addition to Stephanie's children Alicia and Jordan Billings, they grew their family by adding Megan (Elliott) Machen and Michael Elliott to the clan. Tim was an Eagle Scout and remained involved in Boy Scouts and Venture Crew throughout the years. He was also a devoted member of Ascension Catholic Church and gave back to the community by serving at the food kitchen and through the prison ministry. He was diagnosed with an oligodendroglioma brain tumor in May of 2008. Mere months after his first surgery, he became involved in Kansas City Head for the Cure and participated in a 5K fundraiser. Over the next 10 years, Tim passionately raised money for brain cancer research through Team Elliott. He also served as a member of the board since 2017 and was one of their biggest supporters. In April 2018, he participated in a clinical trial using 5-ALA as an optical imaging agent prior to surgery to light up the tumor for improved tissue removal so he could help others in his situation after he was gone. Tim is preceded by his mother Rhonda, brother-in-law CE Witt, and mother-in-law Bobbie Witt. Surviving in addition to his wife Stephanie and father Gene, are his siblings Kip Elliott and wife Polly of Nashville and Jodee (Elliott) Bowen and husband Kevin of Hutchinson; father-in-law Cecil Witt and wife Karen of Russell; children Alicia Billings and husband Toby Mitchell of Newport, Oregon, Jordan Billings and wife Heather of Olathe, Megan (Elliott) Machen and husband Ben of Overland Park, and son Michael Elliott of Overland Park; and grandchildren Audrey Billings, Olive Mitchell, Elliott Machen, and Hudson Machen. He has a large extended family full many nieces, nephews, brothers and sisters in-law. A service of remembrance will be held at Ascension Catholic Church in Overland Park on Thursday, January 24. There will be a rosary at 8:30 am, visitation from 9-10 , mass at 10 am with a luncheon at the church to follow. The interment will take place at 1 pm in the Holy Family Mausoleum at Resurrection Cemetery in Lenexa. All are welcome to a celebration of life at Johnny's Tavern at 95th and Antioch from 5-8 pm. Those who wish to remember Tim in a special way may donate in his memory to Head for the Cure, please click here. 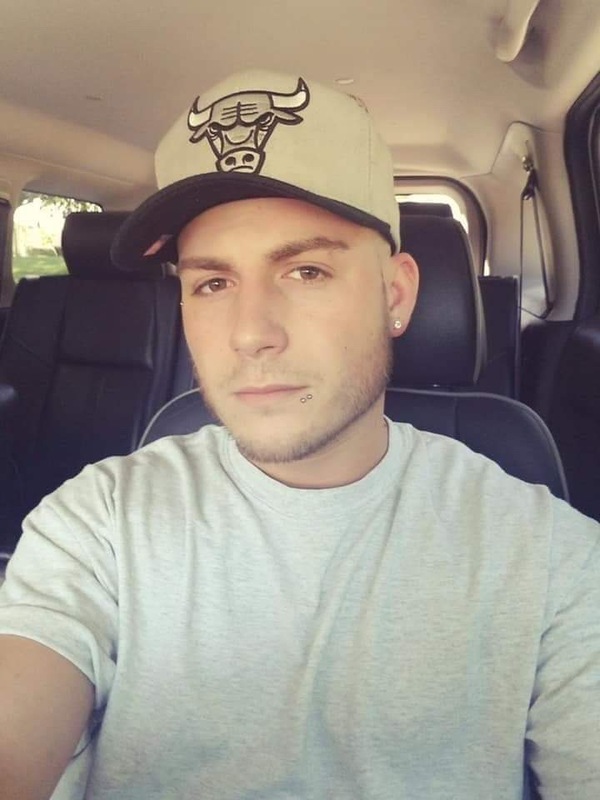 Paul Tyler Upton passed away on January 7, 2019, at the young age of 28. Paul will be lovingly remembered and survived by his parents Hershel (Dwayne) and Pam Upton, his brother Landan Upton, his 2-year-old son Carter Upton, and fiancé Melane Foster. Paul will also be always remembered by his maternal grandparents, niece, and numerous aunts, uncles, and cousins. Paul was known for his phenomenal truck driving, his love for cars and trucks, and numerous hobbies. He loved to work, and he was quite the smooth talker and had an entrepreneur mentality. Paul was the family’s baby and he could put a smile on your face no matter the situation, needless to say, he was always easily forgiven. He will truly be loved and missed and was taken from us too soon. Paul will be buried near his Nan, uncles, and extended family in Arkansas in the spring. Services are unknown at this time. 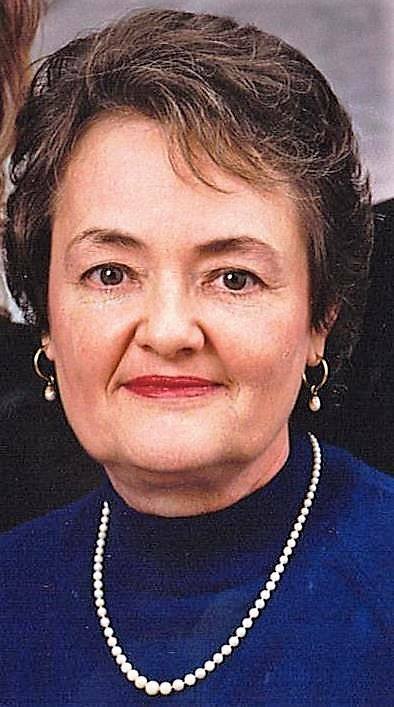 Melana Marie (Sumonia) Cooke, 85, of Overland Park, Kansas, passed away Sunday, Dec. 30, 2018, at Glenwood Village Home Health in Overland Park, Kansas. She was born July 4, 1933, in Kansas City, Missouri, to Milan Sumonia and Mae (Strika) Sumonia, who preceded her in death. On April 17, 1953, she married Louis Cooke. Melana worked for a number of companies including Marion Merrell Dow, Folgers coffee and as a paralegal. In retirement she remainedbusy, working part-time at a local Hallmark store and volunteering at Ten Thousand Villages and Deanna Rose Children’s Farmstead. She was also a worthy advisor for the International Order of the Rainbow for Girls. She was known for her green thumb and her love of reading. Melana was a Johnson County Master Gardener and she and Louis transformed their backyard, filling the entire space with flowers, bushes, vegetable plants, a large fish pond with water lilies and even a playhouse for their grandchildren. When she wasn’t getting her hands dirty in the garden, she had her nose in a book from the library, a trait she passed on to her family. She and Louis also loved to round dance, traveling across the country to do so.In addition to her husband, she is survived by two sons, Randy (Ann) Cooke, of Lee’s Summit, Missouri, and Gary (Kathy) Cooke, of Elk Grove Village, Illinois; one sister, Katherine Rogers, of West Point, Georgia, and four grandchildren, Nicole, Laura, Brian and Kerry. She is also preceded in death by two brothers, Milan Sumonia Jr. and Duke Sumonia. Funeral service will be at 10 a.m. Monday, Jan. 7, 2019, at St. Thomas the Apostle Episcopal Church, 12251 Antioch Road, Overland Park, Kansas, 66213. Burial will follow at Johnson County Memorial Gardens for immediate family only. In lieu of flowers, memorials are suggested to Great Plains SPCA or the Alzheimer’s Association. Arrangements are under the direction of Kansas City Funeral Directors. 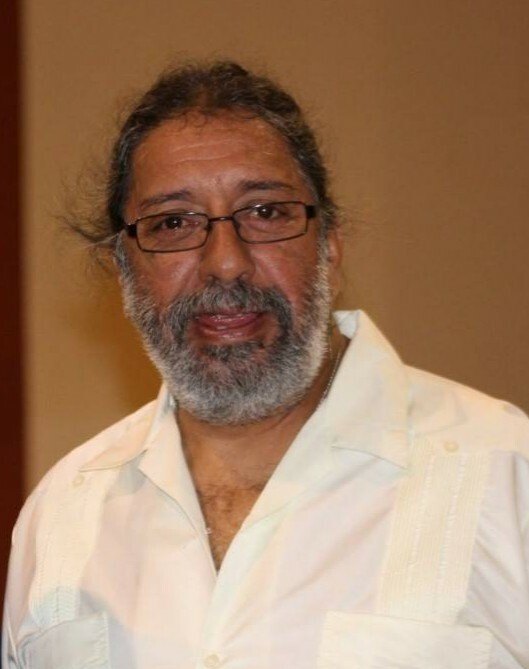 Eugene G. Guerra, 60 of KCMO passed away at home Wednesday, January 2, 2019 Eugene was a dedicated husband, son, brother, father and grandfather who never turned down the chance to help those in need. He was an avid motorcycle and Alien enthusiast. He was loved by so many and will be missed by all. He was preceded in death by his parents, George and Felicia Guerra and two sisters, Rebecca (Becky) Guerra and FeMaria Guerra. Eugene is survived by his wife Pamela Guerra, daughter Stephanie Welsh (Anthony) and three grandchildren, Marc, Alessandra and Caitlin Welsh; three brothers, Anthony (Tony) (Karen), Roman (Lisa) and Martin (Christi); four sisters, Eva Hernandez (John Brenneman), Ernie Guerra-Wilbanks, Bobbie Jo Ruiz (Albert) and Michelle (Shelly) Brown (Frank) and many nieces and nephews. Funeral service 11 am with visitation at 10 am at Rose of Sharon, 9621 E 38th Terr., KCMO on Friday, January 04, 2019. Burial at Platte City Cemetery, Platte City, MO. Rev Winona Mae Pike was born in rural Urbana, Missouri on June 05, 1936. She passed away at North Kansas City Hospital on December 30, 2018. Winona graduated from Park Hill High School in 1955. 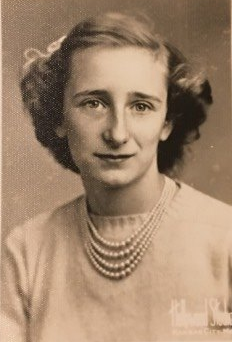 In the fall of 1956 she attended Kansas City Bible College for one year. After returning to Kansas City, she worked at Menorah Medical Center as a Certified Nurses Aid. Winona met and married William Albert Pike in April 1959. She and Bill came into Pentecost in February 1973 at Souls Harbor Assembly of God church in Independence, MO under Rev Quattlebaum. In 1976 they started attending Gospel Lighthouse church in Kansas City. In November 1977 Rev. Bill Jennings asked them to take the children’s church. It was in that time frame they created and became known in ministry as Uncle Fatty and Aunt Donut. Winona and Bill were both licensed in 1980 as Pentecostal Church of God ministers. Winona worked a total of 7 districts of the PCG Junior Camps plus Junior Rallies. She and Paul attended Rose of Sharon Church in 2016. When the Outreach ministry began serving breakfast to the men from City Union Mission in 2017, she saw opportunity and began teaching at the breakfast. She had interest in nutrition and natural remedies for healing. Being creative and talented, she crocheted many beautiful items. Other favorites were hats and cats. She was an avid reader, especially the Bible and could recite what book, and usually what chapter, any scripture was in when you asked her. She spoke often of her love for her four sons, Bruce, Paul, Gary and Dana. Winona is also survived by grandchildren and great grandchildren. Fittingly, her favorite song was “The Blood”. With a teaching ministry span of 69 years, she knew that Without the shed of Jesus, that there is no remission of sins.